In this exciting unity game, your main task is to kill all zombies and find the main foe of yours! Take your gun and shoot. They are everywhere, so be ready to face them all the time! Be sure that you will be not disappointed! Are you afraid of zombies? They are everywhere! 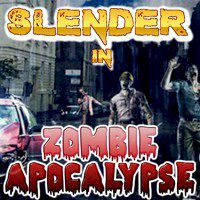 Use your sniper skills and try to kill all zombies, but beware of Slenderman, who is lurking around. In this game, finally, he can really be killed! But the problem is that Slenderman is very strong and he is not affected by bullets. Kill as many zombies as you can, search and collect all eight pages and find a clue to kill Slenderman. So, if you are ready for such a cool challenge, let's go! Be really attentive and beware of anyone, who is coming! We wish you good luck, cause you will really need it!